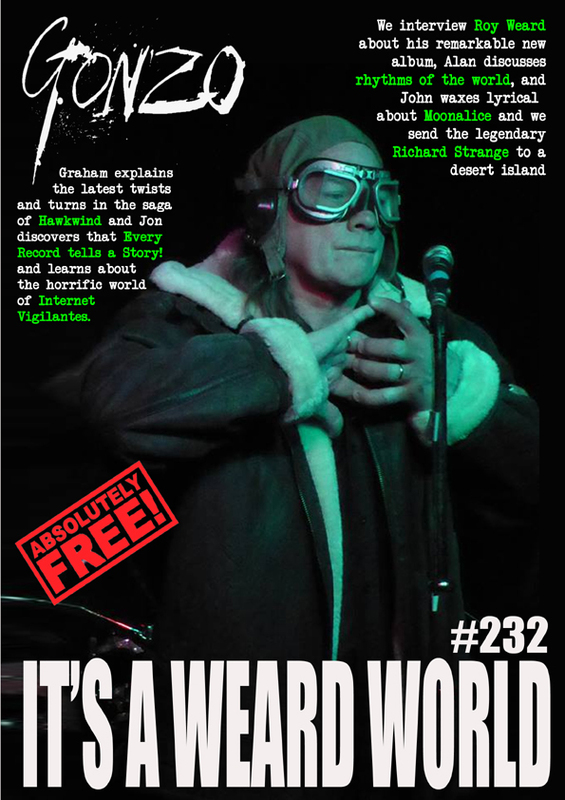 And so, in this week's peculiar issue, We interview Roy Weard about his remarkable new album, Alan discusses rhythms of the world, John waxes lyrical about Moonalice and we send the legendary Richard Strange to a desert island. 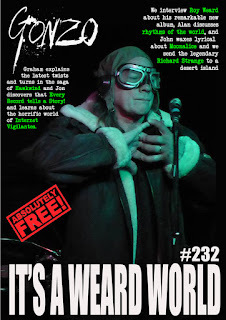 Graham explains the latest twists and turns in the saga of Hawkwind and Jon discovers that Every Record tells a Story! and learns about the horrific world of Internet Vigilantes. THE GONZO BLOG DOO-DAH MAN JUST IS. ALRIGHT? we're doing the Beltane Fire next weekend. ON THIS DAY IN - 1250 - King Louis IX of France was ransomed for one million dollars.